International Priority Shipping: approximately $30. We will invoice for the shipping if you’re are outside the United States. 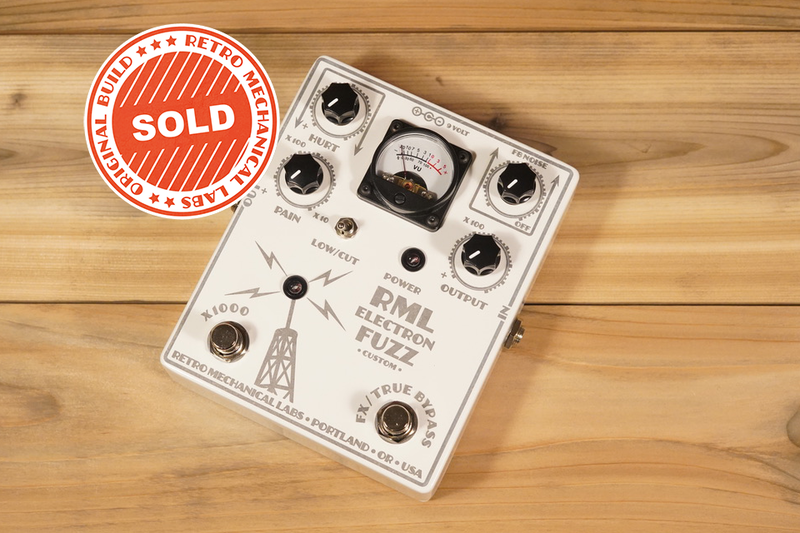 B-Stock: One slightly misprinted pedal available. Purely cosmetic. Slight laser error. Works perfect! You may not even notice but I do. **Feel free to message us with any questions. 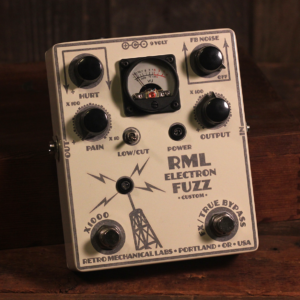 EFC “Nuclear Winter WhiteThe Electron Fuzz “Custom” is an extremely high gain distortion. Seriously, normal volume setting is at about 10% of its full output potential. Two gain/tone controls “Hurt” and “Pain” give a variety of tone textures and a feedback noise loop can be adjusted to add a very gritty almost 8-bit sound or a squelching scream. (Great for droning or well crafted solos and recording). 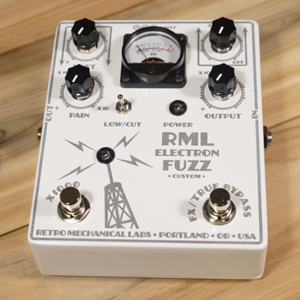 The extra stomp switch adds 2 more additional gain stages and a boost of high end to the sound. Best of all the distortion oscillates when notes are held adding a new level of expression.